"The sign of a great series is when you find yourself loving each book that much more than the last. This installment is my new fave of the series." Ever since the beginning of the series its been in the back of readers' minds; Did any of the Bound Ones fathers' survive? Are there any other angels, besides the Renegades, who would like to see the Directorate take a nasty fall? Those questions are finally answered in Angel Lover. And the father and son interaction is not something fans want to miss, and will love as long as they don't expect a heartfelt reunion. Kasdeja has always seen his talent of reading minds to be just short of nothing. Especially when compared to that of his brothers; mind control, ultrasonic soundwaves, forcefields. Though he does see his value within the team for technological savvy, others see him as the weakest link and plan on taking that to their advantage. They dangle several carrots in front his nose to sway him in crossing over the other side. The one carrot that is the most enticing is the wingless angel that continues pulling at his heartstrings. The question there is, whose side is she really on? Will what they offer Kas be enough for him to betray the only family he has ever known? Mariel is plagued by the loss of her team. Making the ultimate sacrifice in order to make sure their killers pay and their souls can be lain to rest, she immerses within the enemies camp. When asked by the Renegades to bring Kasdeja into their fold by any means necessary she has to ask herself just how far she's willing to go, and if she even has a choice in the matter. But the more time she spends with her charge, the more she begins to question the motive behind both sets of her bosses actions, and the more she feels guilty for betraying Kas. And when she learns the truth behind all of the lies, there may be Hell to pay within the ranks of Heaven. Seems as though another of the Bound has found a woman that is strong, smart, independent and far from being a damsel in distress. Angel Lover is a definite must read. While it can be read as a stand alone, I would NOT recommend doing so. Readers picking up this series for the first time should begin with book 0.5, you will not be lost and will be able to enjoy the read it will be so much more rewarding when read in order. Set within the heart of my hometown Detroit brings this series close to home with all the detailed descriptions of landscapes many wouldn't even know about. 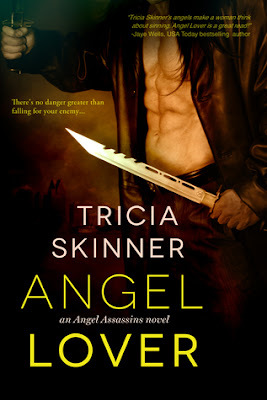 Full of action, intrigue, loyalty and betrayal, Angel Assassins is a series that can enjoyed by Urban Fantasy lovers of any gender.